Tired of losing your cat? Most cats are clever enough to find their way home, but sometimes they can wander off and become lost. A pet tracking device is either attached to your pet’s existing collar or comes with a special adjustable collar of its own. Such devices are fairly easy to use and give you piece of mind. The American Pet Products Association estimates that we spend over $60bn on cats and dogs every year. And big companies are taking note. They are coming out with an increasing number of high tech solutions designed specifically with pets in mind. There are a few gadgets that even double-up as activity/health trackers. Though a few extra pounds seem like they can’t hurt, obesity can be a life-threatening condition for your pet. Up to 60% of cats in the US are overweight, making it the most common nutritional disorder identified in veterinary practice. Your pet may be overweight, but you may not realize it. A good wearable for your kitty should be comfortable and lightweight, so your furry friend doesn’t even realize it’s there. Keep in mind though, many GPS pet monitors require a one-off activation fee and a monthly or yearly subscription in addition to the purchase price. Here is a selection of our favourite cat trackers. Tabcat is a popular tracking device that lets you keep on top of the whereabouts of your pet. Attaching easily to your cat’s collar, the gizmo is lightweight (6 grams versus GPS tags which are normally 30+ grams), but robust enough to stay on whatever they get up to. The directional handset picks up the signal from your kitty and then tells you which way to walk to find them. A single red light tells you’re in range and then as you walk in the right direction and get closer lights go to amber and then green guiding you right to your kitty. Tabcat can track your cat up to 122 meters in clear line of sight and guide you right to their location, within 2.5cm. The company says, about 70% of customers they have spoken to said their cat learned to come back on its own when they pressed the locate button. Doing this activates a small beep on the tag. It seems you can train them to associate the beep with a treat. Whistle claims to be the first device and app system that combines location-tracking and smart activity monitoring into one simple experience. The popular device attaches to your pet’s existing collar allowing you to keep track of them in real-time. The latest version sports WiFi in addition to Bluetooth, GPS and 3G cellular data. With battery life of up to 7 days, you get live GPS tracking, location alerts and the ability to create a designated safe area. This enables you to receive alerts (email, app or text notification), when something is up. You can also access your pet’s location over the previous 24 hours to see what they were up to. This is a wearable that also keeps tabs on your pet’s long-term health trends (such as the last vet appointment, dates of shots, and so on). You can set custom goals and receive notifications if there are significant changes to their activity or sleep patterns. Whistle the tracker itself is priced affordably, there is a monthly fee of around $7-$10. Coverage is only in the US for now. Tagg GPS Pet Tracker is a location tracking device that attaches to your pet’s collar so you can keep track of them wherever they go. If they ever wonder outside of the designated zone, the device sends text and email messages to let you know. You can then locate your pet on a map using the free mobile and web app. The company has upgraded Tagg recently with several new features, including a temperature sensor which notifies you if your pet is in danger of overheating on a hot day or freezing in chilly conditions. Tagg also monitors their activity and fitness levels during the day ensuring they stay active and healthy. The Pawscout Smart Tag attaches to any collar and locates your cat within a 200-foot radius of any phone or tablet with the Pawscout app. This means that you can put your pet on a virtual leash and receive alerts if it strays. The tracker was developed in partnership with the SFSPCA to introduce a community-supported way to find lost pets and reunite them with their owners. You can invite friends, family, neighbors, dog walkers and pet sitters to install the free app to help protect your pet. If the worst happens and your pet goes missing, send out a digital “lost cat” flyer to all the animal lovers in your area and have the community searching for your pet at a moment’s notice. The inexpensive device also offers a complete pet profile and a lifetime of protection for a one-time purchase. This is more convenient than microchip information which can get out of date, plus reading a microchip requires a trip to the vet. Tractive GPS tracker for animals will always let you know where your dog or cat is via an internet browser or the free mobile apps for iOS and Android. The device enables you to set a Safe Zone for your pet. As soon as it leaves this area, you’ll get an alert directly on your smartphone. With the Live Tracking Mode you will see the trace where your pet was and where it is headed right now. The integrated light not only helps to find missing pets in the dark, but also increases the visibility of your pet when going for a walk close to roads. Tractive uses GPS and communicates through cell phone towers, which enable you to track your pet 24/7. This is not a dedicated pet tracker. Rather, its a universal tag that makes it easy to keep tabs on your valuables. But you can also attach it to your kitty. TrackR has an app for both Apple and Android devices which allows you to easily track your lost items. The small, coin-sized device can also be attached to your pet’s collar or other valuable items. You can then monitor the location of the tab by ringing TrackR, using TrackR’s Distance Indicator or via Crowd GPS. Weenect Cats lets you can find your cat at any time, no matter where they are. The GPS tracker is connected to your smartphone through a mobile app so that their location is displayed in real-time on a map. You can locate and monitor your wandering pet with one of 3 modes: Map (Google Map), Compass and Radar. The tracker sends an updated position every 30 seconds whatever the distance. Furthermore, you can get the GPS chip to ring from your phone or computer. But that’s not all. Weenect Cats is also the world’s first GPS phone for cats! Yes, its not a typo – if you’re not at home, call and reassure your cat from wherever you are. The device is ultra-light, weighing only 25g. A full recharge only takes 3 hours and lasts up to 4 days in standby mode. The gizmo is equipped with a SIM card (supplied). It therefore requires a subscription to cover the service charge. PawTrack is not just about finding your cat when it’s lost – it’s about seeing where they go, and what they do. The company originally raised funds via Kickstarter to develop the product, but its now available for pre-order with shipping starting from end-August. 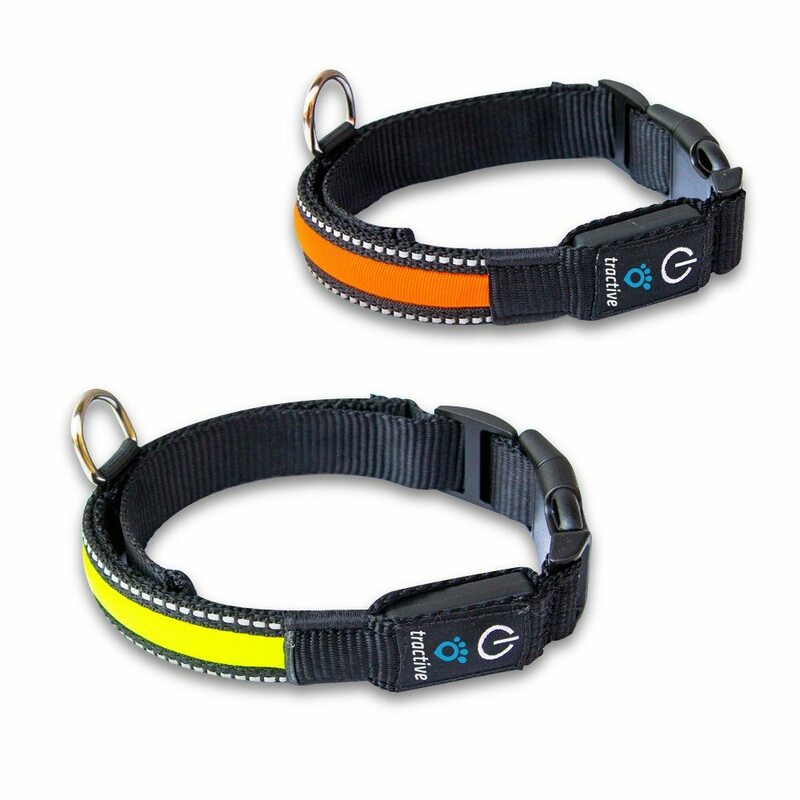 The cat monitoring collar uses GPS & GLONASS for tracking and works in over 170 countries. Pawtrack takes a location fix every 10 minutes (and on request for live tracking). These positions are stored on the collar and are then uploaded automatically or on demand. In addition, the collar is WiFi enabled and programmed to recognise your home internet network. Once your cat returns Pawtrack recognises the WiFi signal, tells the server he’s home, downloads the latest positions and switches GPS off. When your cat leaves home it starts up again. A built in accelerometer recognises when your cat is sleeping, resting or lazing around and shuts the collar down to conserve battery (which typically lasts around 6 days). ← Fitbit Versa or Versa Lite: should you favour affordability or more features? what about the PawTrax Halo? Hi Peter – that one seems like a good option, but it hasnt been released yet – and its available only in the UK. Many thanks for the inclusion in your article! We’re delighted you consider the Pod one of the best GPS trackers on the market for cats, as it is the smallest and lightest trackers with all of the great features offered! We just wanted to quickly note you’ve listed trackers in this article that are not true GPS trackers and, therefore, aren’t really comparable to products like the Pod and Whistle which are true GPS trackers. Perhaps to avoid any misleading to potential researchers a different title might suit the article better? It’s important to provide customers with all of the facts so they can make the most informed decision about which tracker is right for them! Many thanks – and good point. We’ve made the changes to the title to better reflect the content of the article. It has been rated 10/10 by a journalist from Norway who tested other products like Pod, being disapointed by them. Should you have any question I’m available to answer them. Is Weenect somehow affiliated with the journalist from Norway who did your 10/10 review? It looks like the cat used in the review for the Pod and the cat used in the review for Weenect is the same cat on the Weenect website. I’m sure the Weenect is good but just curious if there is a connection. It might have impacted how they reviewed the other devices. You are “sure” it’s a good product? Are you sure you are not affiliated with them? My research indicate this device is a complete market failure. It’s large and bulky, not waterproof unless you make it even bigger with a damn silicone case. But of course, you can have the device play music. Great, just great. hahahaha no look honestly, this device seems to be a joke. The poor cat that has to carry “luggage” around her neck. That thing is gigantic! nice list.. but as of now im using Trackimo as my dog tracker..and it works great..It’s a neat device, small and easy to use. It didn’t seem to update very well at first but the more I used it the better it seemed to get. Trackimo is far the best of all. Mini model is small enough for cats. Phone app, global range… works amazing for me too. Pod Trackers here again : ) We wanted to let you know we just announced our Pod 3 today on Kickstarter! Pricing starts at $79 for early bird (limited so hurry!). We’ve completely changed the way you track your pet with the newest Pod. Most people are looking for something unique for their pets, whether it be sound, light or bark control – we have made it so you can add whatever you want to the Pod! It also has 3G connectivity and a more advanced GPS chip for more accurate location. I have had cats for one year now. We started very young with a collar, and added a tracking device after they became familiar with the safe parts of the neighbor. Initially we tied them up at various places outside our home. The Big downside was my cat started catching birds, which is unacceptable. One each day. It is much better now that she started wearing a second collar that UN-camouflages her. Fortunately my cat tolerates collars well. nice list of GPS trackers for cats/pets , although im using Trackimo’s 3G device and it work perfect for me. This is great, I would definitely have one of these for my cat. She’s very energetic and very tricky sometimes, this collar tracker device is a big help. I have a dog and and a really curious cat that runs everywhere. I lost him several times so I adopt one of this type of trackers. I discovered Findster and it runs flawlessly! And no fees! They are updating their product now and I bought already the new version waterproof so I am waiting for it to arrive. How about Trackimo? Have anybody tried using them? I am using Trackimo for my sweet and active Golden Retriever. He tends to chase animals off and sometimes end up wandering our neighborhood. It keeps me at ease that I have this device so I can easily locate him when he runs away. The virtual fence feature is really cool too. This is great! Would definitely love to try trackimo for my pets. Hoping it could give me the best it could give in terms of service and reliability. Yes, after few choices of pet trackers I’d say it is the best. My cat wanders off and sometimes it may take days for him to come home, I tend to get worried he might get hurt or just leave us totally. After using the Trackimo tracker we found out that he has been frequent to a household few blocks away. Yeah I’m using it now and so far it’s so good. It’s very reliable! Yes! I have tried using it and it works great! It’s reliability is on point and aside from that my cat seems to be very comfortable because this device is very lightweight. It is indeed a very helpful gadget. I have used it for my dog and I’m amazed on how it keeps my dog safe and on how it keeps my mind at peace. What tracker did you use? Wow,that’s a great news for pet lovers.Awesome I am definitely buying one for my doggo. He feels like he is a free bird when he goes out and tracking him is major challenge .This gadgets will be really helpful .Thanks for this article. My cat seemed to have a secret life away from our home, I think she’s extremely curious and when she disappears I don’t have a way to know where she’d gone to. Getting a tracker would definitely help a lot. Thanks for this post, but I’m using trackimo for my cat and so far it works very well. I like it because my cat seems to be very comfortable because it’s a lightweight device. Pet is also member of the family for us. So their safety is also one of our priority. Good thing we have trackers now so we can monitor them all the time. Our cat wandered off for nearly three days, we didn’t have any idea if she’ll come back. Good thing that she came home but because of it, I got a pet tracker and it’s been very helpful in monitoring her. Are these trackers waterproof or water resistant? I’d prefer one for my cat. I love the fact that Pawscout allows you to set a boundary, 150 ft for example, and if your cat wanders beyond that, it will set off your phone’s alarm. Really helps me keep track of my sneaky cat. Does anyone have any info on the pawtrack.com? I have checked the web site out for several months now and the release date keeps changing. I purchased this collar for my cat a couple of months ago and they keep telling me they have run into technical issues. I hope I didn’t just lose all my money. Any info would be greatly appreciated. This article helped me narrow my choices down. I’m getting a tracker for my sneaky pet cat. I had also attached a pet tracker to my cat’s neck to know where he is going & doing every day outside, but one day after returning home I found the device is missing on his neck. May be he lost it in a cat fight. But he told me, he gifted it to someone. He had gifted to his girlfriend, finally he told me sadly after she (his girlfriend) escaped with another male cat. Could you set up a COMPARE TOOL for pet trackers please? Thanks for the suggestion. With so many devices coming out, we have our hands full right now keeping the wearables for humans up to date. But will definitely consider a similar tool for pet trackers in the future. still pretty big and bulky for cats. we need a small unit about the size of a penny that will provide real time GPS and G5 enabled. maybe years away. That’s what I’m looking for as they all seem too bulky for my dainty cats neck! I have a neighbor that lets her cat outside, who has a bell on his collar. We live in the woods and the nights are very quiet. I actually removed the bell from his collar as in my opinion, it would only attract potential predators while he’s walking through the woods at night.